I finished another little project on the weekend. I made two hats for my friend and work manager, Atoy last year. Each left me with half a skein of the yarn left which I just left in stash waiting for a new project. Were There Changes Made To The Pattern? Since I didn’t follow the pattern exactly, this question is not really applicable. 108 stitch cast on. Did I Learn Anything New? No. Would I Make Another? : Probably. 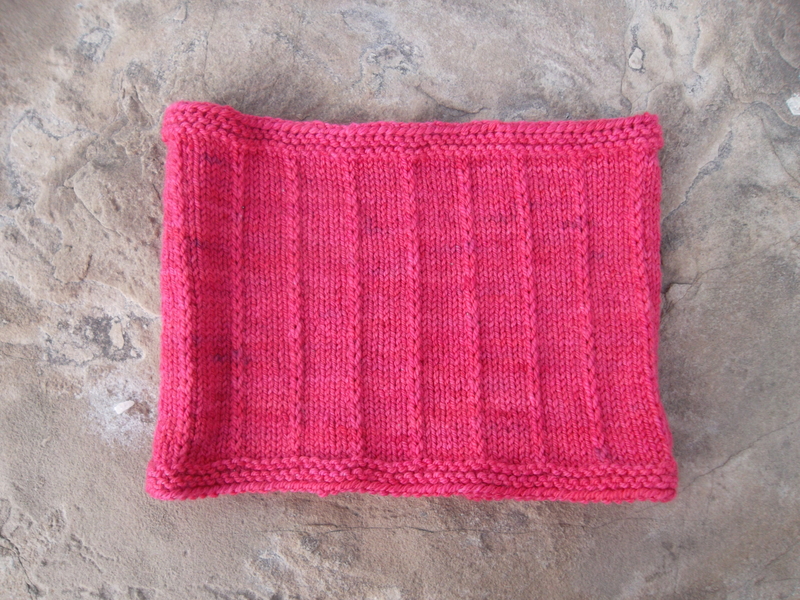 It was super easy and the result is remarkably pretty when done in a nicely dyed yarn. The main thing? The recipient loves it. Thank you! It was so easy, it was laughable. The original version (which I knit a year or more ago) has a slightly more elaborate trim. But this one would look lovely in a nice variegated yarn, I think. Thank you, Val 😀 It was great TV knitting.